Mushroom spores have the potential to cause ill health, and farmworkers exposed to large quantities of unidentified mushrooms are most at risk of lung inflammation. 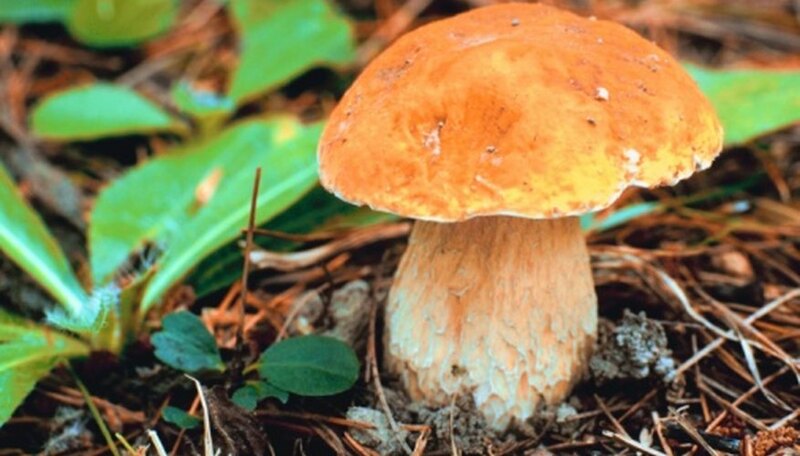 Hypersensitivity pneumonitis, also known as mushroom worker's lung, mushroom picker's lung or farmer's lung, is the most common inflammatory condition associated with mushroom spore exposure. Exposure to high concentrations of mushroom spores may cause rhinitis, asthma, allergic bronchopulmonary mycoses, allergic fungal sinusitis and hypersensitivity pneumonitis. A mushroom is a type of fungus, which is different from a plant because it does not contain chlorophyll, a green substance that helps plants get their energy via photosynthesis. Instead, mushrooms use fibers called hyphae, which can "hibernate" below ground for several months, to take in food. During the mushroom’s growing season, hyphae mature and develop the ability to reproduce spores, tiny cells containing everything needed to create a new fungus. These lightweight spores travel through the air to relocate and reproduce, which is when people can inhale them. Long-term exposure to mushrooms spores can lead to lung inflammation and acute lung disease. Over time, the acute condition turns into chronic (long-lasting) lung disease. Hypersensitivity pneumonitis is a common type of lung inflammation associated with exposure to fungi spores. Symptoms of acute hypersensitivity pneumonitis typically occur four to six hours after you leave the area where exposure took place. Symptoms may include chills, fever, cough and shortness of breath. Symptoms of chronic hypersensitivity pneumonitis may include a cough, breathlessness, loss of appetite and unplanned weight loss. Exposure to high concentrations of spores can trigger asthma attacks. However, most people are not affected unless they are sensitized to specific fungi. Dampness and indoor exposure to spores have been linked to an increased risk of developing asthma in young children. If you develop symptoms of hypersensitivity pneumonitis, contact your doctor. Treatment involves avoiding further exposure. If you have chronic hypersensitivity pneumonitis, you may be prescribed anti-inflammatory medicines such as glucocorticoids. Asthma treatments may also help treat hypersensitivity pneumonitis. A doctor may carry out a lung biopsy to determine the severity of the problem. If you can't avoid exposure to large quantities of mushrooms, take all necessary precautions. Wear a well-fitting half or full face mask and ensure indoor working areas are well ventilated. It's preferable to work with mushrooms outside. Mushroom spores are everywhere. Onetime exposure to a few mushrooms spores won't cause health problems. Typically, only people who regularly work around mushrooms need to take precautions. Gillespie, Claire. "What Will Happen If You Are Exposed to Mushroom Spores?" Sciencing, https://sciencing.com/happen-exposed-mushroom-spores-12053065.html. 03 May 2018.